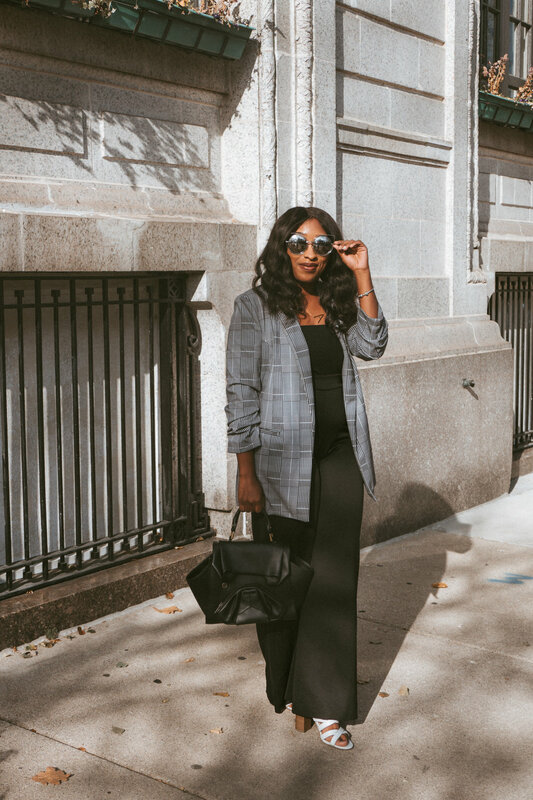 Since Pinterest has been around, it has been a major source in developing my personal style, planning my outfits, and just overall go-to source of inspiration. Recently I've been taking my Pinterest very seriously as a means to cut back on shopping for new clothes all of the time. I find that personal style doesn't always mean you have to have the latest and greatest thing. I understand that as a Fashion Blogger that, that is what's expected of me. But I want my blog to be more than just showing off all of the new things that I purchase. I realize that not everyone has the luxury to shop every single week, I want my blog to be a place where you can come to get inspired to try new trends, step out of your comfort zone without going BROKE! With that being said here are my favorite ways to use Pinterest to help you look "Pinterest Worthy" . When I first started using Pinterest I just had one board that was titled "My Style" as I would search for outfit ideas I realized that my board was all over the place and wasn't really helpful for what I needed it for. So now I have a board for different seasons, as well as different garment type such as Leather Jackets, Blazers, Fur, Trousers etc. This has allowed me to interpret my inspiration and apply it to my daily outfit choices. A lot of the time we aren't necessarily sure why we like an outfit, it could be the general mood that you love, or it could be that you love a certain item, color combo etc. So to make pinning a little easy write a quick little description such as "Love those pants" This will be a quick little reminder of what you should purchase on your next store visit, or how to pair those pants that you love. I am a huge believer that every woman should have a style uniform. This is just a certain style technique that you can always apply to the way you dress. For me it's always a Jacket +Pants+ oversized top. So whenever I am in a rush my style uniform is my go-to outfit combo. I have a board dedicated just to my style uniform. Last but not least don't forget to just use Pinterest as a overall archive for inspiration, I still have my "My Style" board. Many of the outfit combos are just used as inspiration for how I would love to dress in the near future. This is probably the most important tip. As a stylist, I noticed that many of my clients have Pinterest boards full of outfit ideas. I utilize Pinterest when styling my clients as it’ a great way to get an idea of the style that they are going for. However, I’ve notice that they always Pin images that they like, but would probably never wear. So I recommend separating the images you like versus the ones you can see yourself truly wearing. Have you signed up for the Purposefully style challenge yet? The Ultimate Guide To Building Your Wardrobe. What are some of your favorite ways to use Pinterest?